James Suckling, one of the most important wine critics in the United States, has just rated Viña Albali Gran Reserva Selección Privada 2011 with 93 points—an excellent score that recognizes the extraordinary quality of one of the most exclusive wines of Félix Solís Avantis. 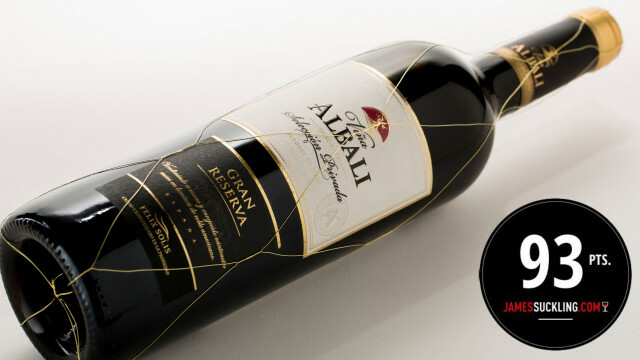 In the most recent Spanish wine tasting, organized by wine expert James Suckling, the 2011 vintage of Viña Albali Gran Reserva Seleccion Privada has been esteemed with 93 points. The wine comes directly from tempranillo grapes that are picked and harvested by hand, from vineyards belonging to the Solís Family in the Valdepeñas D.O. of Spain. The wine then undergoes a long period of aging in oak barrels. James Suckling also had the opportunity to evaluate other wines stemming from the Felix Solis portfolio, each containing different varieties of grapes and styles. These include Sentero Tinta de Toro, Viña Albali Gran Selección and FYI. All three received a rating of 90 points, placing them well within the barrier of the highest quality. Today, James Suckling is revered as one of the most relevant figures in the world of wine. For almost 30 years he was the Chief Editor and Head of the European Office of the wine publication, Wine Spectator, as well as the european editor of Cigar Amateur. In 2010, the US critic launched JamesSuckling.com, a specialized website of great relevance to the wine sector, in which tastings notes and scores of nearly 10,000 wines from around the world are yearly published.